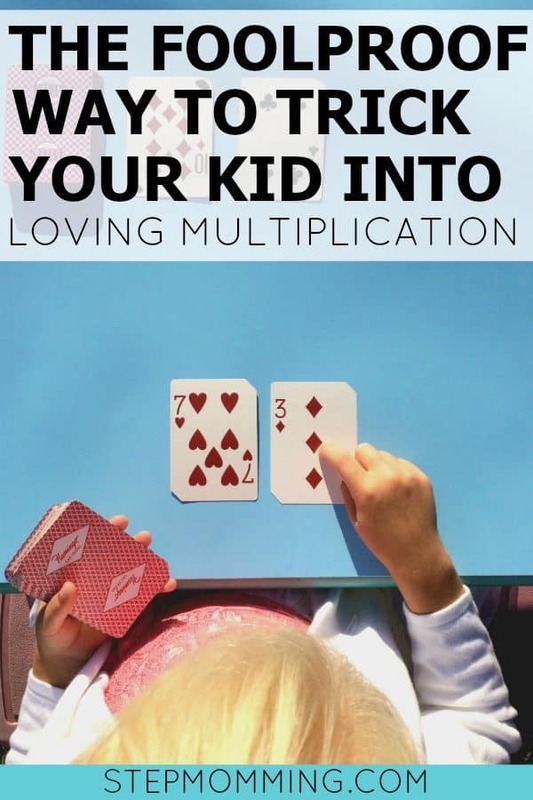 It’s Math Monday again, and we’re featuring a multiplication game this time! Today’s game goes out to all of the students struggling with times tables. To those that need extra practice with multiplication. To the ones that refuse to complete another worksheet or flip one more flashcard. Today’s multiplication game is going to raise the bar for studying habits everywhere. Learning can really be a ton of fun, and we’re here to teach you how! 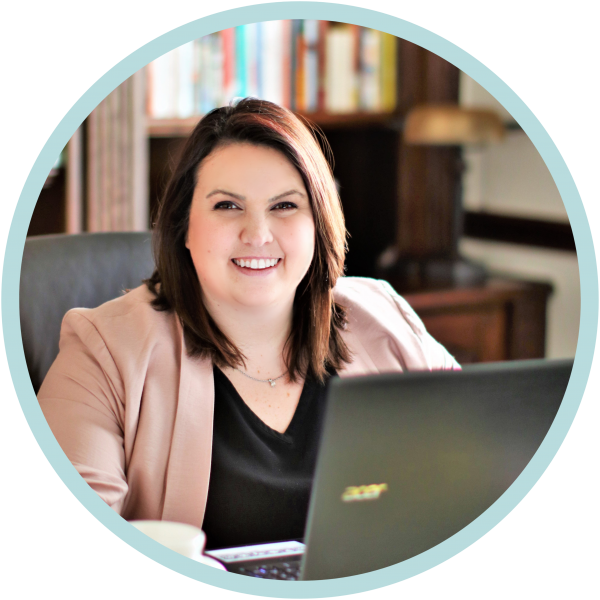 The mamas behind Kandy Apple Mama wholeheartedly believe that learning and education do not end when a child leaves the classroom. It is our responsibility to not only teach our children about the world but to instill a love of learning in them. Brilliance doesn’t happen by chance. Children must work to achieve it, and it’s our goal to get them there. That’s why we’ve begun the Beyond the Classroom initiative! We’re sharing games and activities for you to do at home with your children to get them interested in learning! Learning is fun, knowledge is exciting, and bonding time is invaluable. Help raise a better generation full of successful children one lesson at a time. Are you ready to change the world, Mama? 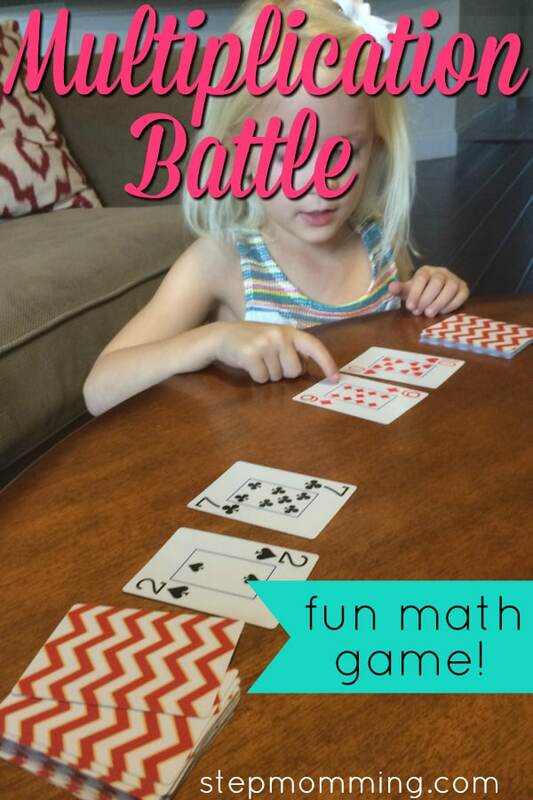 Start with this fun battle multiplication game! It’s a remix of the card game “War” we all loved growing up! Instead of flipping one card and evaluating greater or less than, we’re evaluating products of two cards. 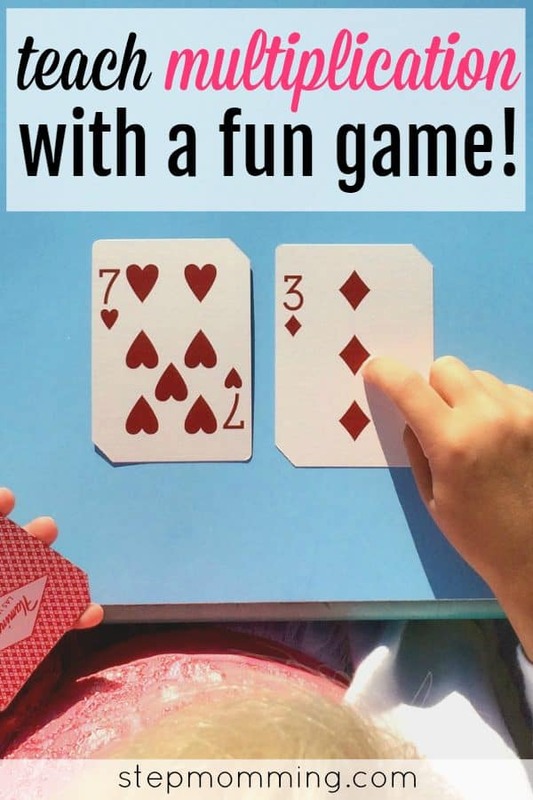 This game is especially effective for the more competitive children that really like winning! 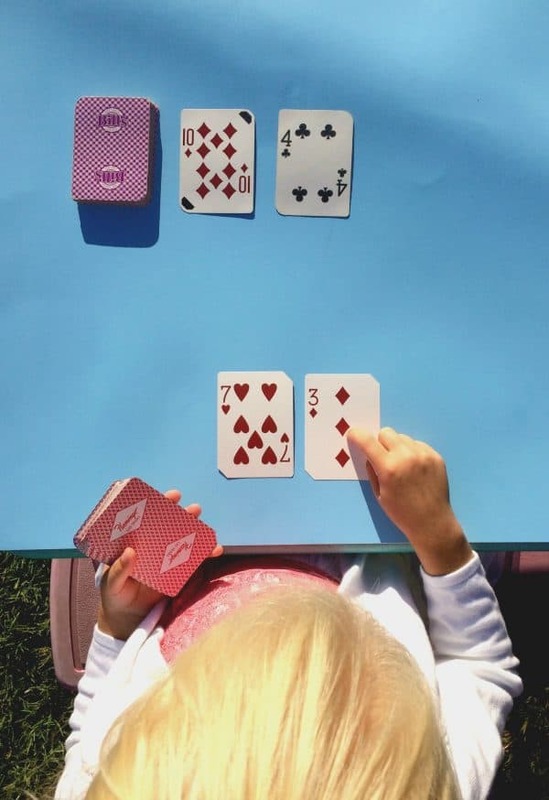 You and your little one will each take a deck of cards. Pull out all jacks, queens, kings, aces, and jokers, and set them aside. We don’t need those. On the count of 3, both of you will flip over two cards from your individual decks. Each player will multiply her two cards, and the person with the greater product attains all four cards and adds them to the bottom of her deck! If your products are the same, you’ve started a battle! Put two additional cards face down, and flip two additional cards up (per person). Again, compare products and the person with the higher product takes all 12 cards! 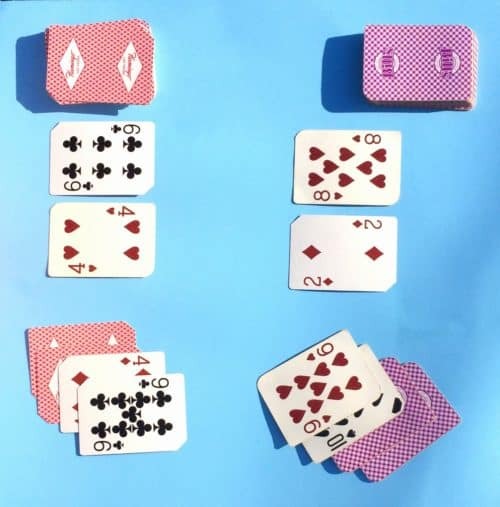 In the example above, we were playing addition battle and had a war over the sum of 10, put 2 additional cards face-down, then flipped 2 final cards to determine a winner! Continue the exercise until one person has won all of the other player’s cards… or until you’re both tired of playing! K loves playing Battle with her GiGi. She was so excited when I told her we could change up the rules a little bit. We played addition battle since she was barely 7 years old, but I’ve played multiplication battle with some of my older tutoring students before. It’s just as entertaining for the older kids as it is for my little K. The opportunities for this game to learn different math topics are endless. I’ve even played fraction battle by flipping one card over the other and evaluating which fraction is greater than the other! Trust me. This is way more fun than worksheets or flashcards! You’re making a difference, Mama! PS: Looking for more educational games? You should seriously check out all of the fun stuff we created for Beyond the Classroom.